Retired defensive lineman who made four Pro Bowls and was named AFC Defensive Player of the Year during his illustrious career. Following his retirement, he was inducted into the New York Jets Ring of Honor and saw his #73 retired by the Jets organization. He attended Temple University, where he led the Olws in tackles for three straight seasons. He had minor roles in four different Burt Reynold films, including "Heat," "Cannonball Run," "Smokey and the Bandit," an "Smokey and the Bandit II." 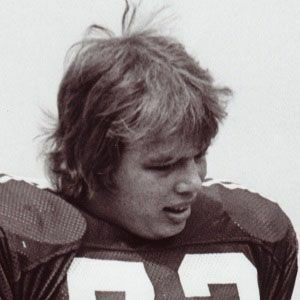 His son, Dan Klecko, won Super Bowls as a member of the New England Patriots and Indianapolis Colts. He and "Broadway" Joe Namath both had their jerseys retired by the New York Jets.